Get a great price on the WISMEC MOTIV 2 Pod System from Vapor DNA. 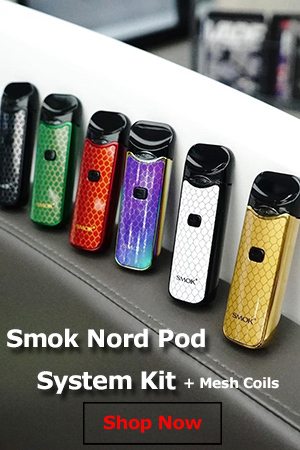 Pod systems may not be the most advanced vaping devices money can buy, but there is no denying their practicality and appeal, especially for beginners. And they are really popular, so it’s no wonder that virtually every company in the business is coming out with its own pod system. Today we’re taking a look at the Wismec Motiv 2 pod system. The Motiv 2 comes in the standard Wismec packaging, a rectangular cardboard box with a picture of the product inside on the front, and a list of contents as well as company information on the back. Inside the box, we have the Motiv 2 vaporizer, two disposable pods, a micro USB cable for charging and a user manual. Right off the bat Wismec gets bonus points for including not one, but two pods in the kit. Not many companies do this, even though they definitely should, and it’s a pretty big deal. Let’s say you’re not familiar with how pod systems work and you accidentally burn the cotton wick in one of the pods? If you only got one, you just have to order new pods in order to use the product. This way, you have a backup. 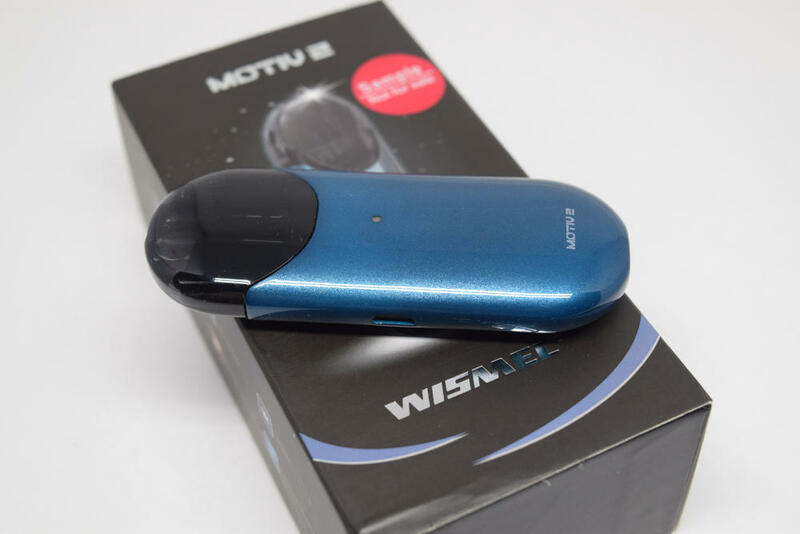 While most pod systems these days, including the super popular JUUL, look like USB sticks, the Wismec Motiv 2 actually looks like a pod. 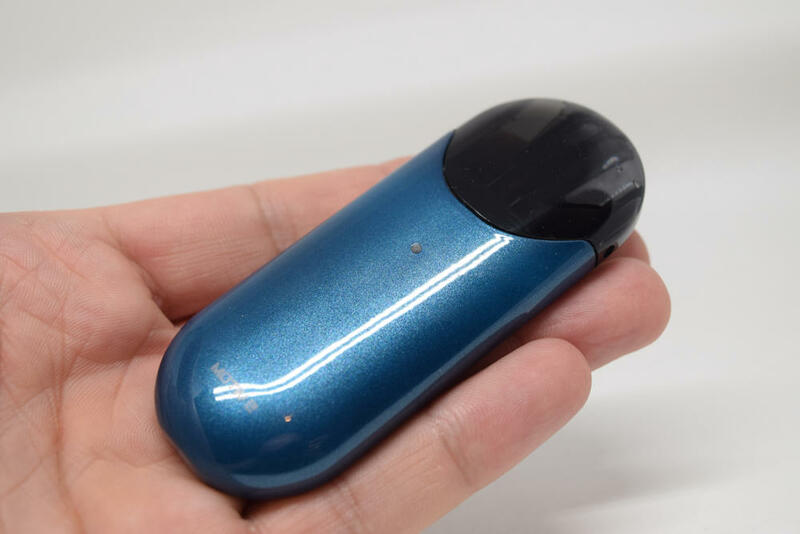 It has a flattened oval shape that reminds me a bit of the Smoant S8 pod system, although this one isn’t quite as slick, comes in a variety of colors, and has a glossy paint finish. 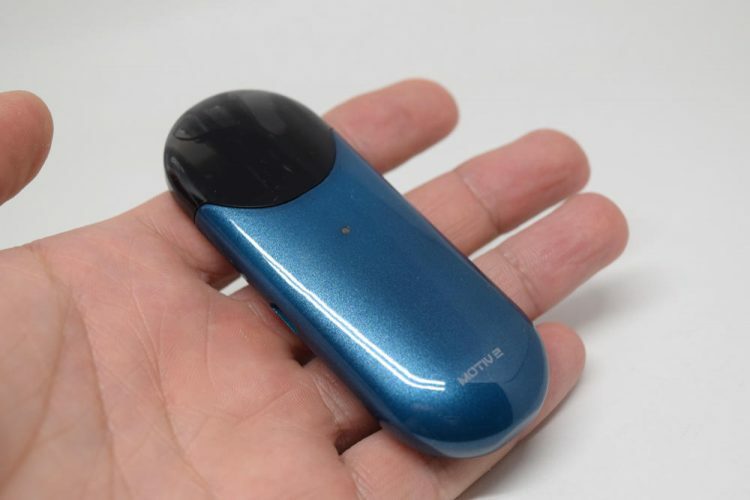 The Motiv 2 measures just 87.7mm x 34.4mm x 14.4 mm, weighs 59 grams, and thanks to its slick, rounded shape it feels really comfortable in the hand. 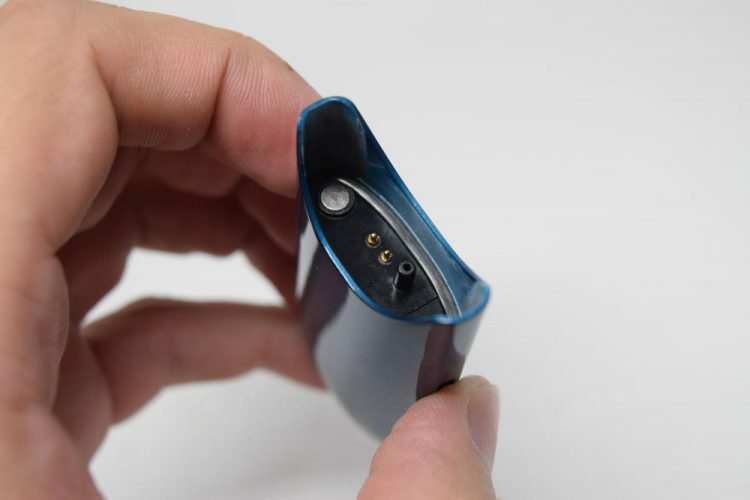 Like most other pod systems out there, it fits in the tiniest of pockets, making it very easy to carry around. The main body of the Motiv 2 is made of zinc alloy and has a very minimalistic look to it. Apart from a tiny LED indicator, on the front and the micro USB charging port on the side, there really isn’t anything else going on, which I for one consider a plus. If you’re a fan of clean, streamlined design, you’re probably going to like the look of this device. 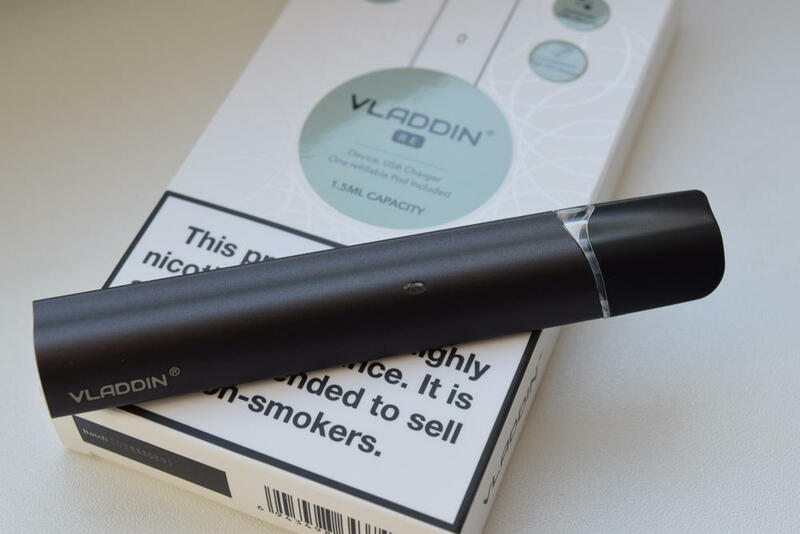 The pods are made of tinted plastic and, depending on where you life, they have an e-liquid capacity of 2 or 3 milliliters. Due to the EU tobacco products directive, pods sold in EU countries will hold 2 ml, while everywhere else, they will have 3 ml capacity. 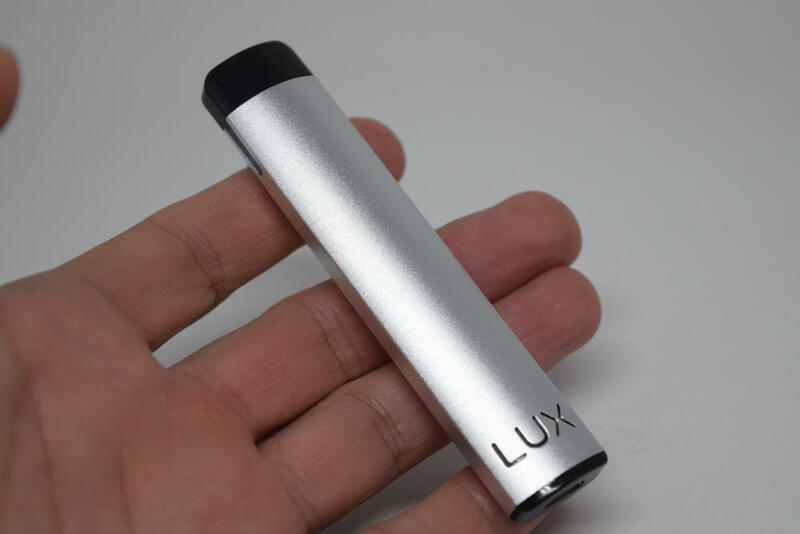 This is another big pro, as 3 ml is quite a lot for this style of device, and I wouldn’t be surprised if most users would go a whole day or more on a single refill. 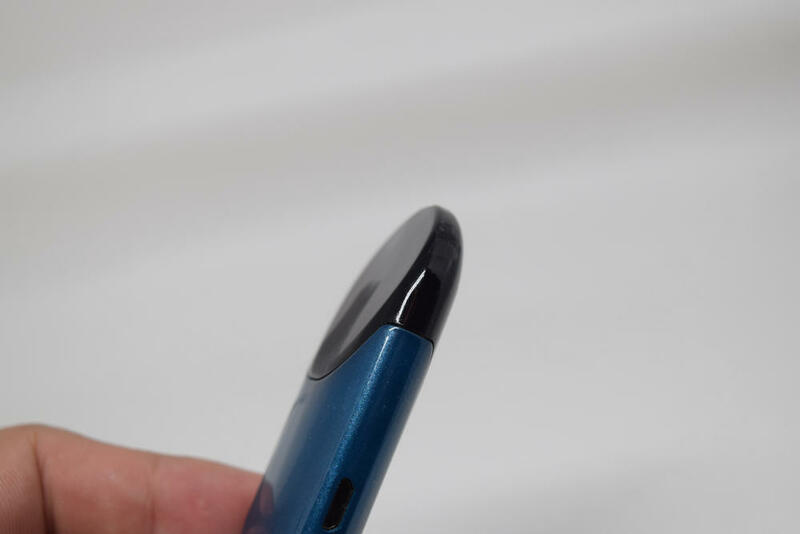 I am not a big fan of the tinting on the pods, as it makes it hard to see the level of e-liquid inside, both in low light conditions and when light is reflected on the glossy plastic. It’s not a huge deal, but I for one don’t get why so many companies go for this heavy tinting. The pods match the rounded design of the Motiv 2 body, but they are flattened on one side to make them more comfortable to hold in the mouth. Unfortunately, there is no information on what type of coil inside Motiv 2 pods, either in the user manual, or on the Wismec website. 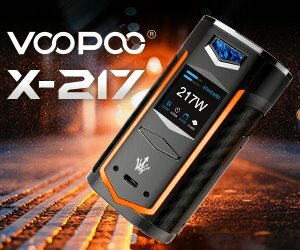 That’s a bit strange, but I guess they figured that anyone interested in this type of entry-level vape mod isn’t interested in technical details. 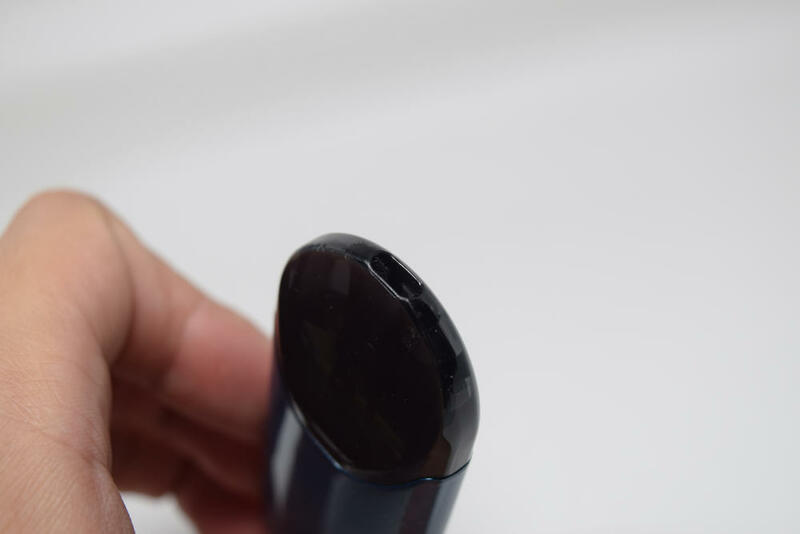 The fill port is located on the bottom of the pods and features a rubber cap that is easy to remove and plug back on. The port is large enough to fit just about any dropper, and I was even able to fill my first one using a unicorn bottle. I’ve only been using it for a week, but during that time, I’ve had no leaking problems whatsoever. For some reason, the airflow hole is located on the side of the pods. It’s pretty big for this style of vaporizer, and it actually makes the draw considerably looser than most other pod systems I’ve tried. This could be a con for people looking for the tight draw reminiscent of tobacco cigarettes, but for someone like me, who has long moved on to direct-lung vaping, it’s actually a pro. It all depends on the type of experience you’re looking for. 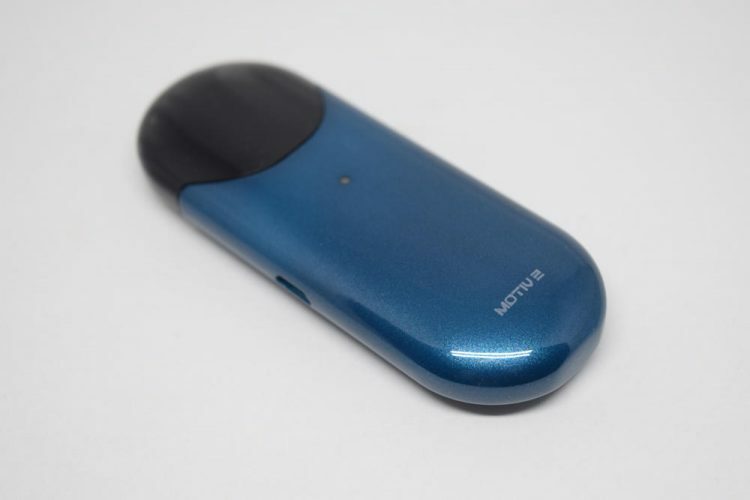 The Motiv 2 comes with a built-in 500mAh battery, which is impressive for such a compact device. 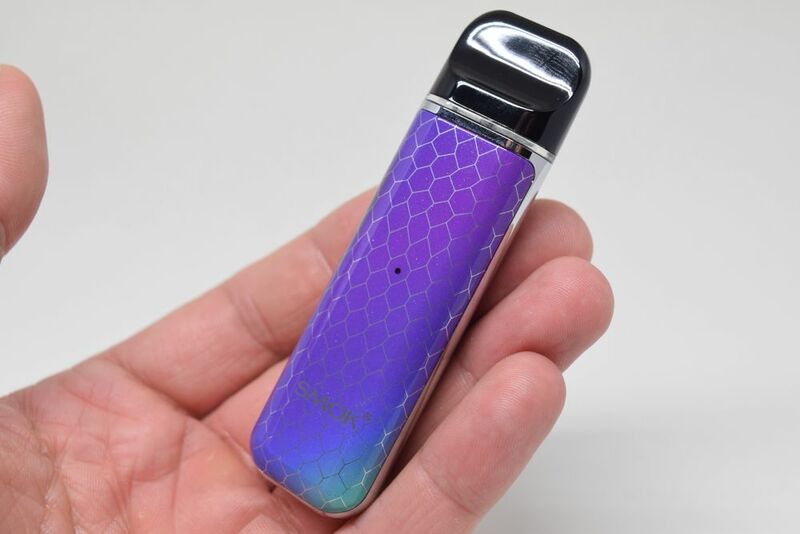 For example, the recently launched Suorin Vagon has an official battery capacity of 450mAh, and while 50mAh may not seem like a big difference, in this class of low power output devices, it actually translates in a few dozen extra puffs. Now, I don’t know if the advertised battery capacity is accurate – manufacturers tend to exaggerate this type of ratings – but even at 470mAh – 480mAh, it’s still above average for such a small device. The Motiv 2 features a small LED indicator that lights up differently every time you use it, to display how much battery you have left. 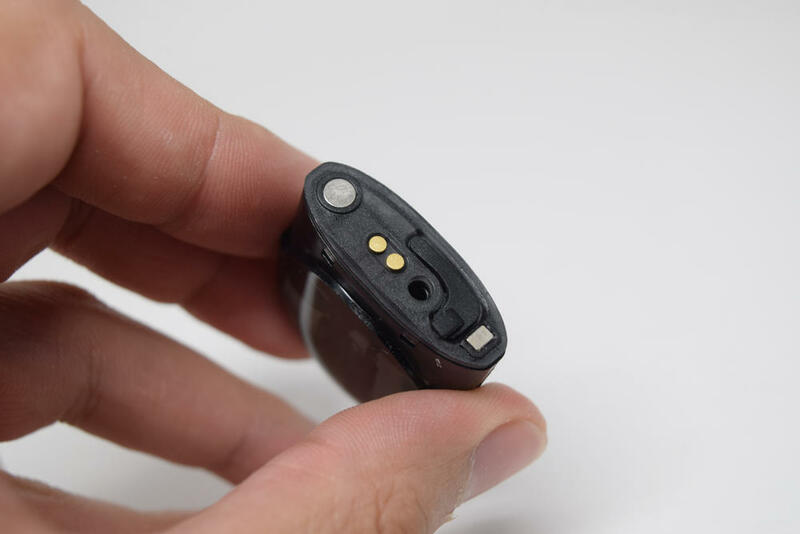 If the device has between 100% and 16% battery life, the LED will light up green, if battery level is between 15% and 6%, the light will be yellow, and when the battery drops to under 6%, the indicator will light up red to signal that you need to recharge the battery. Luckily, the Wismec Motiv 2 features vape-while-charging technology, so you can still use it a passthrough, while it is charging. From what I’ve notices, it takes around an hour to recharge a fully depleted battery, which is pretty decent. The Motiv 2 pod systems has an automatic switch that activates the battery whenever you draw on the mouthpiece. It turns on as soon as you connect a pod, so all you have to do is draw on it to use it. Don’t look for any buttons, because there aren’t any. In terms of performance, I’ve been very impressed with the Motiv 2, but as I mentioned before, it’s a matter of taste. I have not smoked a cigarette in nearly 8 years, so I don’t feel the need for a tight, smoking-like draw, which is why I enjoy the loose draw of this pod systems. However, fresh ex-smokers, or vapers who prefer a tight mouth-to-lung draw, may find that the Motiv 2 has too much airflow. Dry hits are not uncommon when using pod systems, especially if you chain vape, but I’ve never gotten one while using the Motiv 2. Being used to much more powerful, direct-lung vaping setups, I’ve been hitting Wismec’s pod system pretty strongly, but I’ve never gotten any burnt taste, and the pod is still holding up very well after a week of use. Wismec doesn’t offer any recommendations for the VG/PG ratio of the e-liquid, but I’ve been using a 70%VG/30%PG juice, and it’s been working great (no leaks and no dry hits). I would go as low as 60%VG/40%PG, but any more propylene glycol could cause leaking, so I don’t recommend it. 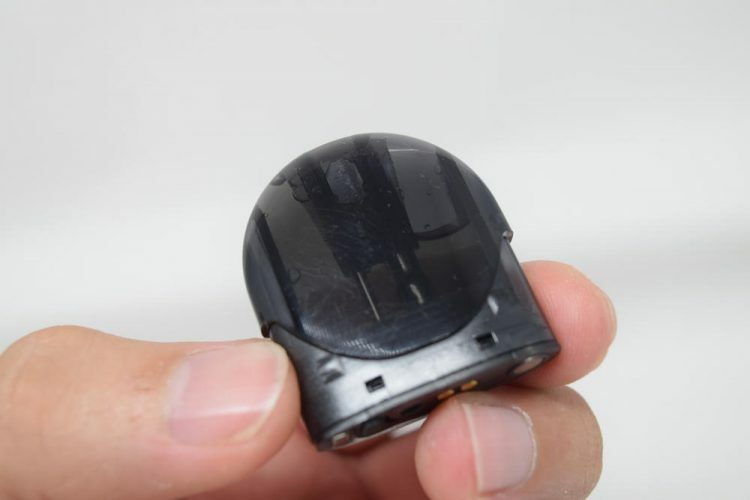 The Motiv 2 pod system operates at 3.5V continuous current, and has a maximum wattage output of 10W. That may not seem like much, and it’s not, but for this style of device, it’s more than enough. I’ve actually been getting considerably more vapor out of the Motive 2 than other pod systems I’ve tried recently, but that’s also due to that large airflow hole. In my opinion, the Wismec Motiv 2 is one of the better pod systems on the market. With so many available right now, and more coming out virtually every day, it’s hard to make a choice, but this one actually has a few things going for it. 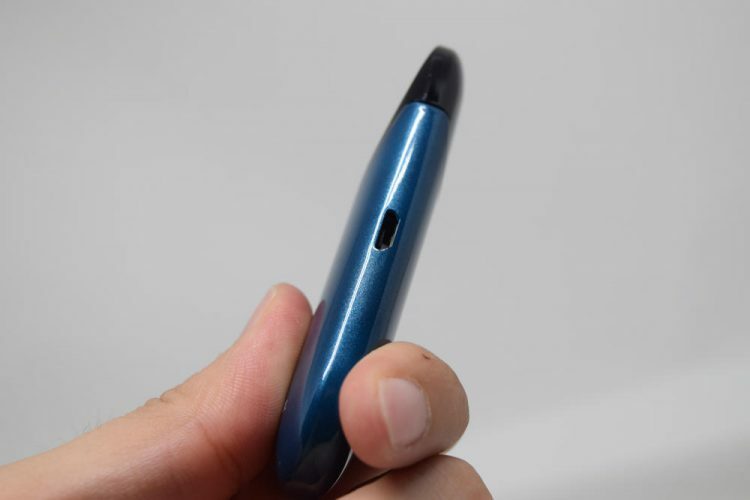 The fact that it comes with two pods is a big plus, as is the large battery capacity. The build quality is right up there with the best in the business, and let’s not forget about the 3ml capacity of the pods. The only questionable aspect of the Motiv 2 performance is the airy draw. It will appeal to some people, but put others off. It’s just a question of taste. The Wismec Motiv 2 sample used for this review was sent to me by Vapesourcing. They are currently selling it for $25.16.